The Rieussec estate was the property of the monks of Carmes de Langon in the 18th century. The owner at the time of the 1855 classification, when Rieussec was classified a first growth, was a Mr. Mayne. After that, Rieussec had a long succession of owners: Charles Crepin bought in around 1870, Paul Defolie in 1892, Mr. Edgar Bannel a well known banker of Bordeaux in 1907, the Gasqueton family (also owners of Château Calon-Ségur in Saint Estèphe), the American P. F. Berry (brother-in-law of the Vicomte de Bouzet) during the war, Mr. Balaresque in 1957 and Albert Vuillier in 1971. 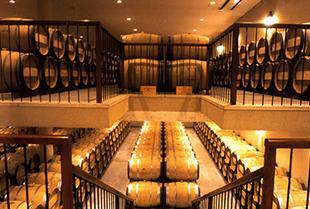 In 1984, Rieussec was bought by Domaines Barons de Rothschild, the owners of Château Lafite Rothschild. The Rothschilds invested in a new cellar in 1989, and strove to increase quality by better selection of the grapes, which also led to reduced production in the 1990s. One of the more recent recognitions for quality was when Château Rieussec 2001 was selected as Wine Spectator's Wine of the Year in 2004. Wine Enthusiast 90"2011 was a great year for Sauternes and this second wine of Rieussec shows great botrytis weight and richness as well as a floral and fruity character. Bitter orange marmalade and honey give this still-youthful wine its sweeter and fruitier side. Drink from 2016."